My husband "signed up" to go to New York. He wasn't selected. I was glad. There, I've finally said it. I would say the same thing. i believe any of us would. I agree with Sandra. 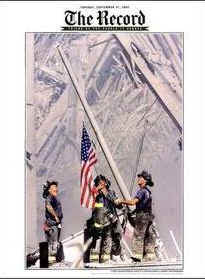 It's a solemn day, and one to remember them and pray for their families. I don't blame you one little bit. Perfectly human thing to do. Amen Sister - No one blames you a bit for saying it either. You love him, and want him safe. Of course you were glad. Hello JP. Grenville wanted to go and assist NYC as well. We were living in NJ at the time and he's a retired firefighter, but because of that status he wasn't eligible. And I know exactly how you felt about he Prez not going.